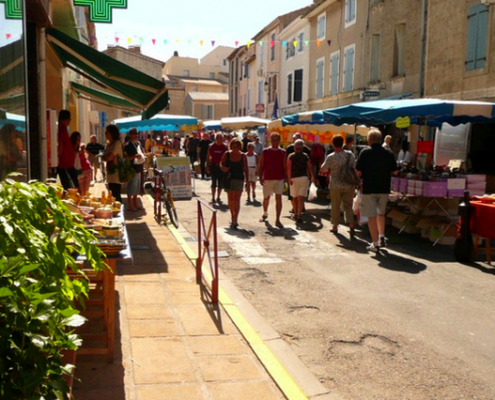 The Chalets’ district : the origins of Gruissan’s tourism. 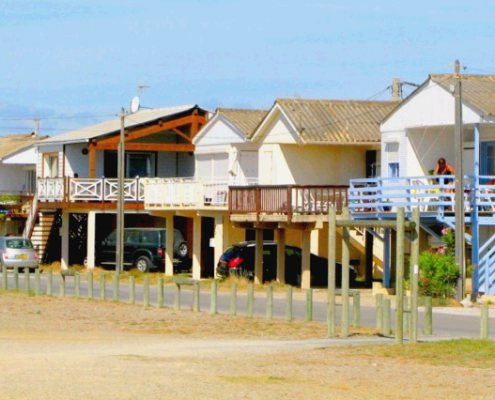 The construction of the chalets started in 1860, at the time of the first sea baths and of the begining of seaside tourism in Gruissan. Rebuilt on stilts a hundred years later, they slowly get modernized and mix, today, a whole new comfort with the friendliness of former days ! 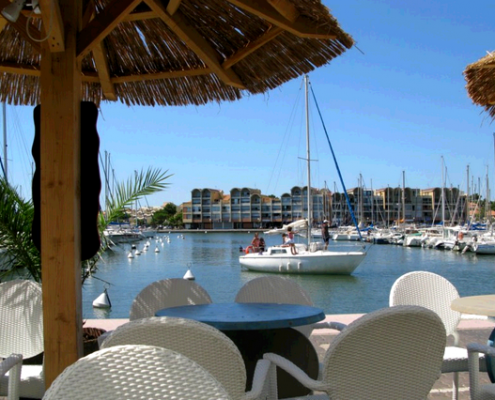 The district of the Port Rive Droite : Welcome to the marina ! Strong urge of dynamism and to meet people ? Take time to discover the things that make this district built in the 1960’s so particular and enjoy its shops open until late in the night ! The Ayguades : Between the Massif de la Clape and the Mediterranean sea. The Ayguades district owns two ponds. 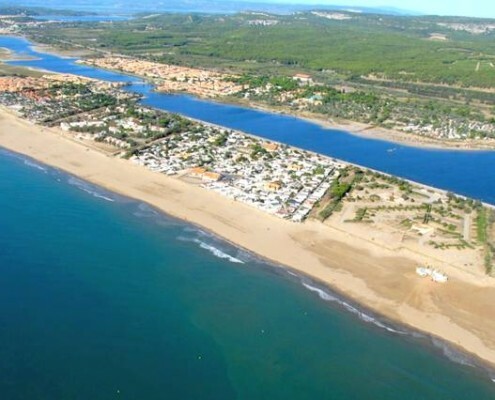 Camping sites, apartment hotels, rental agencies and holiday village mix in an open air area. The best ways to get to the shore are biking or walking because all of the accomodations are less than a kilometer away from the sea ! The district Port Rive Gauche Mateille offers to everyone a preserved environment and the possibility, thanks to its location, to discover all Gruissan without a car ! Gruissan village : The historical district. Having protected its identity and its typicality for centuries, Gruissan village has its own habits and customs. This unavoidable district will make you taste a typically mediterranean lifestyle ! The Vendanges feast in october. Now that you know what to do in Gruissan, you can check our nautical activities and catering pages to perfectly plan your days !